Bellzone Mining (LSE:BZM) listed on the London stock exchange via the AIM in early 2010 with an IPO day closing price of 35.25p/share. Since this Bellzone has peaked at 94p/share a few days into the 2011 new year before making an intra-day low in early September 2012 at 12p/share, a fraction of its earlier prices. However, the tide could be turning for Bellzone. 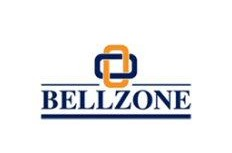 Bellzone has 730m shares in issue and a market capitalisation of £102.24m. The current share price is 14p/share. As shown by the chart the technical investment case for Bellzone is certainly strong, and strengthening. Bellzone has made an inverse head and shoulder pattern, which in itself is significant, however in this case the pattern is not only clear cut, but the inverse head is created at the all time low for the share, hence the pattern signals significant upside if completed through a neckline break and decent market conditions. The inverse head and shoulders pattern is fairly rare, but the time period over which it has been created (Since late July - October) once again strengthens the case for a breakout past 16p. In addition, the steep drop prior to the entry to the pattern signals that upside potential exists. Bellzone has a strong institutional background. Managing director Nikolajs Zuks and Moreau Mining own 297m shares (approximately 40.5% of the issued shares), and multiple other institutions also hold shares meaning that there is less than 40% of the shares on the market in the hands of private investors. Furthermore, ex-CEO Simon Farrell owns 1.13m shares in Bellzone equating to over £150,000, but this obviously used to be a much higher figure. Another major shareholder China Sonangol participated in Bellzone's 80p/share placement and then bought shares soon after so will be disappointed with the dramatic drop. This highlights that even at 80p multiple institutions believed that Bellzone represented good value for money. China Sonangol now holds over 16% of the issued share capital. Bellzone operate in four projects; Forecariah, Kalia, Port and Rail and Sadeka. 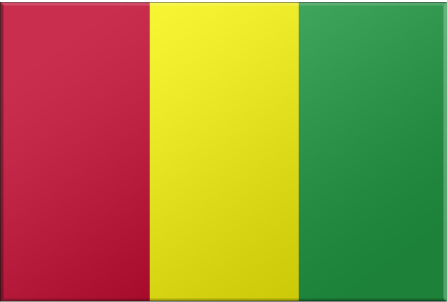 Each of these projects is located in the west African country of Guinea and has the primary target of extracting and developing different types of ore. In addition to existing prospects there are multiple ways to increase potential at this license. According to the company there are 7km of haematite bearing beds 'yet to be explored' along with other leads from magnetic surveys. 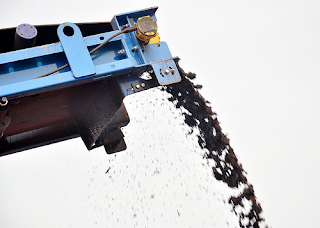 The future for production at this product looks bright, and was cemented in early August when commodity trading giant Glencore (LSE:GLEN) signed an offtake deal with Bellzone. Through this Bellzone have a direct route to selling their resources. Further to this, Glencore will grant Bellzone a $15m upfront facility for developing the project once it has shipped 5 vessels of 750k of 58% Fe product. Essentially, this project is now fully funded. Bellzone's Kalia mine is known as their flagship project where they own a 100% stake. Production here will begin in 2015 and is expected to reach a peak at a massive 46 megatonnes per annum in 2020. This supports a growing revenue stream that will come online in future years for Bellzone. Essentially if all goes to plan the bringing online of Kalia could lead to Bellzone having profit figures well over £75m in 2016. Bellzone's Sadeka project is located 150km east of Kalia and is a nickel/copper prospect. To an extent this gives Bellzone a cushion against any falling iron prices as is achieved through diversifying. Exploratory drilling has started and been in progress here and results are expected prior to year end. Bellzone has maintained fairly good news flow through 2012. Entering 2012, the first RNS expressed the interest in shares on behalf of China Sonangol - their holding had passed the 14% threshold. In late January a Forecariah update was announced with one headline being; ' On site commissioning of mine and process plant equipment'. The project 'remained on schedule' to come into production during Q1 2012 where the resources would be stockpiled ahead to the first shipment in late 2012. This progress continued through February with the commissions completed and key blast permits being received. The mine came into production on schedule during March with 30000 tonnes being liberated. Nik Juks commented, "We have now achieved our primary objective of being able to produce iron ore on schedule, in Q1 of this year. I am very proud of what the team has achieved in such a short time and work continues apace; the Mining Permit is imminent, our fleet arrives in mid April, and exports are anticipated to start in early June. This is just the first step, albeit a significant one, in developing a long term sustainable iron ore operation at Yomboyeli. We remain committed to achieving both the objectives set for Forécariah, and those for bringing the Kalia Mine Project into production as planned in 2014." ﻿By early April China Sonangol held 16% of the shares in issue having increased their stake. The full year results in mid-May drew upon major achievements and challenges over the period and referenced the 181m share placing that had raised $236m in 2011. By the end of May the Forecariah mining phase had been authorised, an updated resource report was being prepared for Q3 and the first ore had been transported to the port of Konta. In June Glenn Baldwin was appointed the new CEO of Bellzone following the departure of the former CEO in late 2011. Glenn Baldwin has previously worked at major firms including Lonmin (LSE:LMI) and Anglo American (LSE:AAL) where he held senior management positions thus the procurement of him is an impressive vote of confidence for the company. His CEO role would commence September 3. 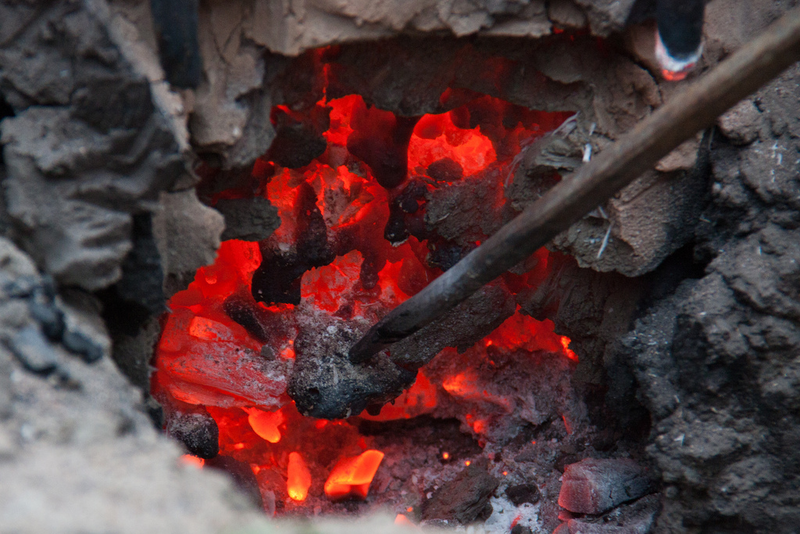 · JORC reportable oxide and SBIF Mineral Resources have been increased 44.9% from 285.5 million tonnes grading 38% Fe to 413.9 million tonnes at an average grade of 35.8% Fe. · Metallurgical testing completed to date indicates 151 million tonnes of beneficiated product grading +59.3% Fe could be extracted from these oxide and SBIF Mineral Resources. In June Bellzone proved it remained committed to creating shareholder value by initiating a share buyback scheme for up to 1.6% of the issued share capital. "We believe that the level our share price is currently trading represents an opportunity for the Company to initiate a share buyback, in order to return value to our shareholders at these very depressed levels." A further Forecariah update was released in July. 13600 tonnes of iron had been stockpiled at the port and was now being loaded onto barges. The milestone achievement rounded off the start to a very quick implementation of the project. This project easily represents a significant success considering the working environment is west Africa where regulation can slow down natural resource projects. The mine life was upped to 6-8 years with further potential to be longer as more areas are exploited. Further positivity was released in late July with the Kalia mine receiving its DFS (Definitive Feasibility Study). The study uncovered the viability of the project with it becoming cash flow positive after three years of use. The only problem with the Kalia project is the financing which will undoubtedly be an issue. The DFS highlighted the need to $550m in the 'deferred case' and $1.7 billion in the normal case, to achieve a 'sustainable development platform'. However, early production here should fund a large portion of these costs. After the Forecariah offtake agreement was signed with Glencore in August, Bellzone announced the approval of both the Kalia mining and Forecariah mining permits. The most recent RNS was issued in late September and came in the form of the Interim results statement. Most importantly it drew upon cash reserves of $70m which equates to just around half the market capitalisation. Despite this, fundraising will be necessary to pay for the upcoming Kalia mine developments and is scheduled to be done in 2013. A key reason why Bellzones share price has been crumbling for a long time, is due to the array of poor historic results for the company that effectively have created little shareholder value. In 2009 there was a loss of $13m, 2010 - $24m and 2011 - $46m. Clearly the latter of these represents almost half the current market cap to the erosion of the share price is justified. However, as per Digitallook.com, this loss is expected to narrow significantly to just £6m for the 2012, prior to the company returning to profit in 2013. Of course, should a major fall in iron prices occur as a component of a deepening global recession, then Bellzone could struggle. Perhaps this is the biggest threat to the future plans of the company (aside from fundraising). However, as in the charts, the inverse head and shoulders formation is a clear signal that the share price is looking to re-bounce off all time lows and back into a more respectable range. Bellzone potentially has a very bright future ahead of it, but it is certainly a long-term investment if on fundamentals. Interesting read, thanks for your effort. I appreciate it represents considerable time on your behalf.